Halloween costumes bring out your wildest imaginations. Who says Halloween costumes are for kids? Adults can act like kids on this day and come up with the craziest ideas for their costumes. Youngsters love to dress up and have fun with their friends and knock on doors for candy on the Halloween day. There are a wide variety of costumes available for everyone. Kids have all kind of dresses available for them. But it becomes difficult as an adult to choose the right one in order to stand out from the rest at unless you wear something very creative. So be sure to let your imaginations run wild. These classic costumes come in wide variety of costumes! Choose poodle skirt, 20's sequin flapper, Indian bride costume, Bavarian man costume, Caribbean pirate costume or raggedy Andy costume, for your perfect costume! Whether for a Halloween costume or a costume party, you will enjoy wearing these adult costumes! We are the right place to get original and realistic Halloween costumes for any occasion be it a Halloween party or a costume party. 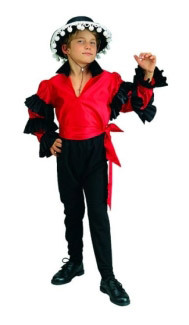 You can choose from a numerous set of weird and scary outfits for witches, ghosts, vampires and pirates and they are available at scary low prices. Does the idea of spooky costumes freak you out? Not to worry. We have a wide stock of costumes to match every taste and mood. Feel like making people laugh? For that we have funny costumes where you can be one of the members of the Flintstone family or Charlie Chaplin himself. If you want something magical, then we will transform you into one of the Disney princesses with the Snow White, Ariel or Cinderella costumes or the everlasting Disney character Minnie Mouse. Little boys usually want to save the world. We enable them to do so with our Superman and Spiderman costumes. We've got it all at our store and that too at unbelievable prices.